Ron Shelton (Book) is an Academy Award nominated film director and screenwriter. As a writer and director, he has helmed Bull Durham, Blaze, White Men Can’t Jump, Cobb, Tin Cup, Play it to the Bone, Dark Blue, Hollywood Homicide, and Hound Dogs. He has also written Under Fire, The Best of Times, Blue Chips, The Great White Hype, and Bad Boys II. A graduate of Westmont College and University of Arizona, Shelton played professional baseball, dug ditches, worked as a carpenter, painted houses and was a window dresser at Sears prior to becoming a filmmaker. Susan Werner (Music and Lyrics) Songwriter Susan Werner has been performing nonstop across the US and Canada since her 1995 BMG/Private Music major label debut. Her numerous concept albums, including her 2007 “agnostic gospel” album The Gospel Truth and 2013’s tribute to agriculture, Hayseed, have won her passionate fans from coast to coast, interviews on NPR’s “Morning Edition” and Marian McPartland’s “Piano Jazz”, and covers by Tom Jones, Betty Buckley and Christine Ebersole among others. She is honored to be working with Ron Shelton, and to be composer and lyricist for Bull Durham, The Musical. Go Bulls! Marc Bruni (Director) is currently represented on Broadway with Beautiful: The Carole King Musical, playing its third year at the Stephen Sondheim Theatre as well as at the Aldwych Theatre in London’s West End and on a U.S. National Tour. Additional companies in Japan, Australia, and Germany are planned for 2017. Bruni’s other directing credits include Roman Holiday: The Cole Porter Musical, revivals of Paint Your Wagon, Pipe Dream and Fanny for NY City Center Encores!, The Explorers Club (Manhattan Theater Club), The Sound of Music (Chicago Lyric Opera), Old Jews Telling Jokes (Westside Theatre and Royal George in Chicago- Je Award Nom for Direction), Other People’s Money (Long Wharf- CCC Nom for Direction), Presto Change-o (Barrington Stage) Ordinary Days (Roundabout Underground), Nerds (NC Theatre), Irving Berlin’s White Christmas (Paper Mill Playhouse), The 25th Annual Putnam County Spelling Bee (Paper Mill Playhouse and Philadelphia Theatre Company), and 7 shows for the St. Louis MUNY including My Fair Lady, The Music Man and The Sound of Music (Two Kevin Kline Nominations). He won the NYMF Award for Best Direction for his production of Such Good Friends. Additionally, he has been associate or assistant director on thirteen Broadway productions and tours including The Book of Mormon, Nice Work If You Can Get It, Anything Goes, The Pajama Game, La Cage Aux Folles, Legally Blonde, Sweet Charity and many others. 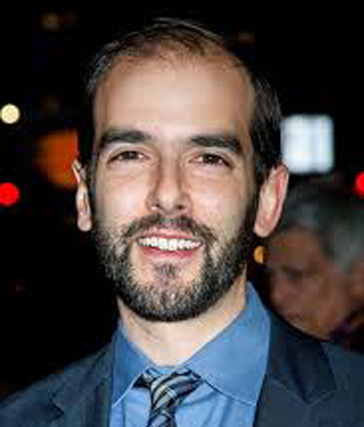 Joshua Bergasse (Choreographer) Joshua won an Emmy for his choreography on NBC's musical drama, “Smash”. Broadway: Charlie and the Chocolate Factory, On the Town (Tony, Drama Desk and OCC Noms, Astaire Award), and Gigi. O-B’way: Sweet Charity (The New Group) (Lortel Nom), Cagney (Drama Desk, OCC, Astaire Noms, Callaway Finalist), Bomb-itty of Errors, and Captain Louie. Encores! : The Golden Apple, Little Me, and It’s A Bird...It’s A Plane... It’s Superman!. Carnegie Hall: Guys and Dolls and The Sound of Music. As Dir/Choreo: Hazel (Drury Lane), West Side Story (NCT). As Co-Dir/Choreo: Bombshell on Broadway (Minsko Theater). Television: Multiple episodes of “So You Think You Can Dance” (FOX) and “Sinatra: A Voice for a Century” (PBS). Derek Mclane (Set Designer) Selected credits include - Broadway: The Price, Noises O, Fully Committed, Beautiful, Gigi, China Doll, Anything Goes, The Heiress, Nice Work If You Can Get It, The Best Man, Follies, How to Succeed In Business Without Even Trying, Bengal Tiger at the Baghdad Zoo, Million Dollar Quartet, Ragtime, 33 Variations The Pajama Game, I Am My Own Wife. O-Broadway: If I Forget, The Whirligig, Into The Woods, Love, Love, Love, Sweet Charity, Evening at the Talk House, Two Gentlemen of Verona, Buried Child, The Spoils, Sticks and Bones, The Last Five Years, A Lie of the Mind, Ruined, Hurlyburly. Television: He designed the 2013, 2014, 2015 & 2016 Academy Awards as well as the NBC Live! Musicals: The Sound of Music, Peter Pan, The Wiz & Hairspray. Awards: Winner of 1997, 2004 OBIE Awards, 2004, 2005, 2007 Lortel Awards; 2009 Tony Award, 2011 Drama Desk Award, 2015, 2016 Art Directors Guild Award, 2014 Emmy Award. Peter Kaczorowski (Lighting Designer) A Tony Award winner, Peter has over 50 Broadway play and musical credits including Sweat, Our Mother’s Brief Affair, Living on Love, Beautiful; The Carole King Musical, No Man’s Land/Waiting for Godot (McKellen and Stewart), The Country House, Love Letters, The Assembled Parties, Venus in Fur, Anything Goes, A View From The Bridge, Waiting for Godot (Nathan Lane and Bill Irwin), Young Frankenstein, Curtains, Grey Gardens, Heartbreak House, The Pajama Game, Seascape, Who’s Afraid of Virginia Woolf?, Wonderful Town, Anna in the Tropics, The Producers, Contact, The Music Man, Kiss Me Kate, Steel Pier among many others. West End: Beautiful; The Carole King Musical, Driving Miss Daisy, Who’s Afraid of Virginia Woolf?, The Producers, Kiss Me Kate, Contact, Jackie: An American Life, She Loves Me, Lena Horne: The Lady and Her Music. Off-Broadway: Extensive credits for Manhattan Theater Club, Roundabout, The Public (both downtown and at the Delacorte), New Group, Playwright’s Horizons, 2nd Stage, Classic Stage, Signature, The Vineyard, as well as 20 Encores! concerts at City Center. Opera: The Metropolitan Opera, New York City Opera, Los Angeles Music Center Opera, San Francisco Opera, Houston Grand, Santa Fe Opera, Seattle Opera. Awards: He is the recipient of the Tony, Drama Desk, Outer Critics, Dramalogue, Ovation and Hewes design awards. Alejo Vietti (Costume Designer) Broadway: Beautiful: The Carole King Musical (also West End – Olivier Nomination). Selected Off-Broadway: Paint Your Wagon for Encores!, Nightingale (MTC), and Grace (MCC) with Lynn Redgrave; John Patrick Shanley’s Storefront Church, Old Jews Telling Jokes (also Chicago), Tryst, The Last Sunday in June, and The Secrets of the Trade (Primary Stages). Regional credits include: Disney’s The Hunchback of Notre Dame (La Jolla Playhouse and Paper Mill Playhouse); the U.S. premiere of The Witches of Eastwick; and productions at Goodspeed Musicals, Alley Theatre, St. Louis Rep, Guthrie Theatre, Hartford Stage, The Old Globe, Williamstown, NY Stage and Film, Arena Stage, and Ford’s Theatre in DC, among others. Opera: Chicago Lyric Opera, New York City Opera, Minnesota Opera, Wolf Trap Opera, Donesk Opera (Ukraine) and Opera Santa Barbara. Other: Colorado Ballet, Ringling Brothers 7 and Barnum & Bailey’s Circus, and Radio City Music Hall’s Rockettes (including costumes for the New York Spring Spectacular). TDF Irene Sharaff Young Master Award recipient. Peter Hylenski (Sound Designer) Grammy, Olivier and four time Tony Award nominee. Selected Broadway Designs: Anastasia, Something Rotten, After Midnight, Motown, The Scottsboro Boys, Rock of Ages, Side Show, Rocky, Bullets Over Broadway, Shrek the Musical, On A Clear Day, Lend Me A Tenor, Elf, Wonderland, Cry Baby, The Times They Are A-Changin’, The Wedding Singer, Sweet Charity, Martin Short: Fame Becomes Me, Little Women, Brooklyn. Other credits: Le Reve and Showstoppers at Wynn Las Vegas, Ragtime (London), Rocky Das Musical (Hamburg), King Kong (Melbourne), Mame, Gotta Dance, The Prom. International arena tours of How To Train Your Dragon and Walking with Dinosaurs. Vadim Feichtner (Music Director) Broadway: The 25th Annual Putnam County Spelling Bee and Falsettos. Off-Broadway: Fly By Night, A New Brain (Encores), Little Miss Sunshine, Nobody Loves You, The Other Josh Cohen, Elegies: A Song Cycle, The Memory Show, Infinite Joy, The Burnt Part Boys, Ordinary Days, Long Story Short, I Sing!. Writing Credits include: Surviving the Avalanche (Barrington Stage), Lincoln Center Songbook's Songs of Innocence and Experience and incidental music for NY Public Theater's As You Like It (both written with William Finn). TV: “Last Week Tonight” and “Live From Lincoln Center”. Laura Stanczyk (Producer) Laura Stanczyk is an independent Casting Director and Producer. She is a member of the Casting Society of America, Actors Equity Association and the Screen Actors Guild. 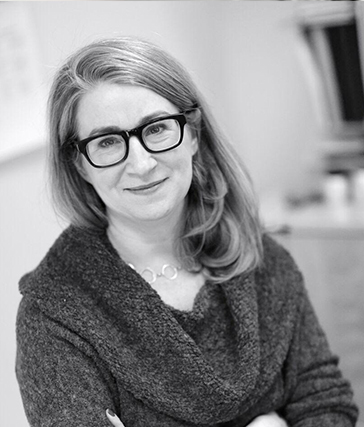 She was a member of the Senior Artistic Staff of McCarter Theatre Center for five years and was responsible for helping to shape multiple award winning regional theatre seasons. She has been nominated seven times for Artios Awards for Excellence in Casting and won for the Broadway revival of Follies. Her other Broadway and National Tour credits include: Sideshow, After Midnight, A Night with Janis Joplin, Don’t Dress for Dinner, Follies, Lombardi, Master Class, Ragtime, Impressionism, The Seafarer, Dirty Dancing, Radio Golf, Coram Boy, Translations, Damn Yankees (Encores! Summer Stars), Who’s Afraid Of Virginia Woolf (also West End), Sweet Charity, Wonderful Town, and Urinetown. She is a voter for the Antoinette Perry (Tony) Awards, an avid (and depressed) fan of the New York Mets and the proud parent of a 18 year old former Bat Boy for The New Jersey Jackals. Jack Viertel (Producer) Jack Viertel, Senior Vice-President of Jujamcyn Theaters since 1987, is in charge of overseeing the development of new projects for the company's five Broadway theaters, beginning with the original production of Into The Woods, M Butterfly (Tony Award, best play) and The Piano Lesson (Pulitzer Prize for drama). He has been instrumental in bringing many Tony winning new plays, musicals and revivals to Jujamcyn’s theaters, including Angels In America (two best play Tonys, Pulitzer Prize for drama), Jerry Zaks’s legendary production of Guys And Dolls (Tony for best revival), Grand Hotel, City Of Angels (Tony for best musical), Jelly's Last Jam, the Brian Dennehy production of Death Of A Salesman (Tony for best revival), The Beauty Queen Of Leenane, The Weir, Swing!, Proof (Tony for best play, Pulitzer Prize for drama), Doubt (Tony award for best play, Pulitzer Prize for Drama) King Hedley II, Gem Of The Ocean and, most recently, Radio Golf and Clybourne Park (Tony for best play). He produced the Patti Lupone revivial of Gypsy and the recent, critically acclaimed revival of Finian’s Rainbow. 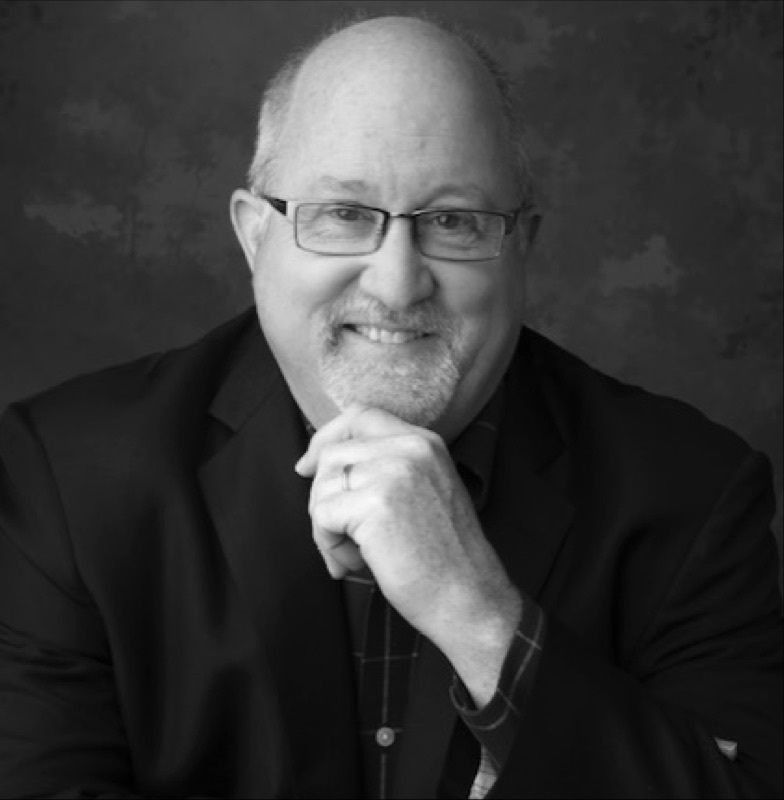 He is a co-producer and conceiver of the longest running musical revue in Broadway history, Smokey Joe's Cafe, and served as the dramaturg for Hairspray (Tony for best musical) and Dear Evan Hansen. Since 2000, he has also served as Artistic Director of the Tony-honored Encores! series at New York City Center, where he has overseen the 9 presentation of 40 productions including such shows as Damn Yankees, Follies, Merrily We Roll Along and Gentlemen Prefer Blondes. He is also the author of the book for the musical Time And Again, based on Jack Finney's novel, spent two years as the dramaturg of the Mark Taper Forum, in Los Angeles, and was the chief theater critic and arts editor of the Los Angeles Herald Examiner from 1980-85. In 2016, his book The Secret Life of the American Musical was published by Farrar, Straus and Giroux and became a New York Times bestseller. Don Clark (Producer), a retired attorney, is an entertainment entrepreneur and producer of an award-winning feature film, Broadway play, and magical theatrical experience. Among his many ventures, Clark is Co-Owner of Chicago Magic Lounge, the #1 Chicago Nightlife Venue (TripAdvisor) and one of “Chicago’s Best” (Chicago Magazine 2018). Clark served as Executive Producer of the feature film “Guest Artist,” written by and starring Jeff Daniels and directed by Tim Busfield. The film was awarded Best Independent Film and Best Actor (Jeff Daniels) citations by the Hollywood Reel Independent Film Festival in 2019 and received awards for Outstanding Achievement from IndieFEST, Best of Show from the Accolade Global film competition, and Best Narrative Feature at the Beloit Film Festival in 2019. Clark’s previous Broadway credit is as a producer of the 2017 Special Tony Award (Sound Design), Drama Desk Award (Sound Design), and Outer Critics Circle Award (Best Solo Performance) winning play and New York Times Critic’s Pick THE ENCOUNTER.